Do you find yourself tired after meals? Or lacking energy in general? Does your belly gurgle or grumble embarassingly? Are you gassy or bloated? Belching more than normal? Do you find foods that you used to love are suddenly not digestible? Have you developed a sensitivity to milk or wheat? Is there a coating on your tongue? Does your breath smell odd? Are you a little ‘irregular’ without your kumbucha or Activia®? Any of these complaints are a sign that your digestive health is suffering. Luckily it can be fixed with the wisdom of Ayurveda and Yoga Therapy! Digestive health is key to a healthy long life. Without good digestion our body can not function properly or form strong, stable, resilient tissues. Poor digestion creates an environment where disease can set in at an early age. Both Classical Ayurveda and Yoga Therapy point to poor digestion as the underlying cause for nearly all disease but especially: heart disease, diabetes, metapolic disorders, auto-immune diseases, skin conditions, mental health issues, and of course digestive problems. In this 2 - hour workshop get real hands-on skills in preserving, regaining, maintaining digestive health. Learn everyday ayurvedic techniques to eating better in the modern world. Take home a personal understanding of what you can do to feel better! Learn the signs of weakened, slow and over-active digestion and the condition of your own ‘Ahar shakti’ or digestive strength. Please wear yoga-appropriate clothes, yoga mats and pillows, if needed, for sitting comforably on the floor. Light Ayurvedic snack and tea will be provided. JENNIFER MEEK Yoga Therapist, performing artist, and dance instructor. She recieved a BFA in Dance, Yoga Instructor certification from the Temple of Kriya Yoga, and more recently Yoga Therapy training through the Niroga Institute in Berkeley. 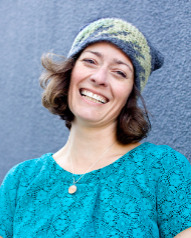 Jennifer teaches yoga at Square One Yoga in Emeryville, facilitates workshops in Movement and Yoga Therapy, and can lead you to a deeper sense of intimacy with yourself through one-on-one yoga sessions personalized to your needs and desires. Newer:Apr 14th: Ayurveda Spring Self-Cleanse TechniquesOlder:All-6-Tastes Popcorn Seasoning!